The fact you are looking at a guarantor loan, probably means you have bad credit. It may or may not have been your fault, it could have happened many years ago or more recently, maybe a missed payment on a credit card or catalogue that you forgot to pay. None of this matters with a guarantor loan, as long as the situation you are in now is financially stable and you can comfortably afford the repayments. This also applies to your guarantor, who also needs a reasonable to excellent credit history. The guarantor can be a tenant or a homeowner. The rate you will be offered will depend on the above factors as the better credit history the guarantor has then the less risk to the lender, which results in a lower payment being offered and vise-versa. 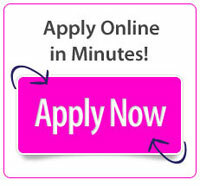 You can fill in our 1 minute application form here to receive your personalised quote tailored to your circumstances. You will then be emailed with instructions on what to do next should you wish to proceed. All quotes are tailored to each applicant and can be as low as 29.9% for the best cases, our representative apr is 48.6% variable. Guarantor loans rely on you have a Guarantor with a reasonable to excellent credit rating. A guarantor is needed should the worse happen and you are unable to make your monthly repayments, your guarantor will be asked to step in and take over the repayments for you. This rarely happens and the lender will try and find a solution with you personally before contacting your guarantor. The guarantor is the security for the loan, which is enabling you to be lent up to £10k which otherwise you would be turned down by other sources. Guarantor loans are different than most other sources of finance, as they don't use a computer to automatically reject you due to your credit score. Each case is looked at by an underwriter in detail before a decision is made, once you pass the affordability test and you have entered you and your guarantors details. This gives a greater chance of success as the underwriter looks at your current circumstances and ability to repay, rather than something that may have happened in the past. 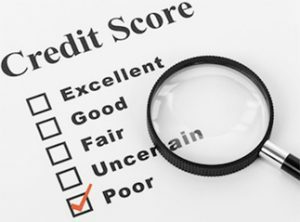 If you have a good credit history then you should probably look elsewhere loans with lower APR that reflects your credit rating better. The term non homeowner simply means an individual who either resides as a tenant or living with parents, essentially an individual who does not own their own property, whether mortgaged or outright. When it comes to getting a loan, in reality it poses a problem for lenders, as the fallback position of additional security is not there. What is meant by that is that being a homeowner provides additional security in the form of property for any potential lender should the individual not pay the repayments on their loan. In essence, all lenders want to lend money, that is how they make their profits, however they also have to make sure as much as inherently possible that any money they lend will be repaid with interest. The problem for any lender with an application from a non homeowner is that the security of a property is simply not available. If you add into the equation the fact that the individual may also have bad credit, in the form of late repayments, defaults etc, from previous credit, then it is not difficult to see why lenders are reluctant to lend money in those situations. However there is a solution and that is guarantor loans for non homeowners. These are a type of loan whereby the applicant provides a guarantor, whose credit file is used instead of the applicant. As a guarantor is provided, the lender therefore has the additional security they desire, which means that the chances of getting a loan are that much higher. Also, it means that typically the rates of interest are lower than other options such as payday loans. In many ways this type of loan is a return to the days of olde, when guarantors were used to guarantee a loan applicant in case of non payment. In much the same way, guarantor loans now offer the same option, and have become increasingly popular as they provide a viable solution to those who have no property to offer as security and/or have had issues with credit in the past. Looking for an alternative to Amigo loans? Then use our guarantor loan system to find the best guarantor lender to meet your circumstances. Piggy Guarantor loans place your application with the guarantor lender most likely to pay out your loan, at the best interest rate. How do we do this? Piggy guarantor loans has been involved in the guarantor loan industry for over 7 years, we were there at the start when there was only a few lenders. Over the years we have developed a system, using the data we have collected, that knows which lender is more likely to lend at what loan amount and whether you have a homeowner or tenant as guarantor. We place your application instantly with the 3 best lenders depending on the data you put on our application form. You will then receive emails from the 3 lenders with details on what to do next. If in the rare occasion you get declined by the 3 lenders, then you can apply again and we will place your application with 3 more lenders, who may have a slightly higher interest rate, but may be more likely to pay out your loan. If you have been declined by Amigo loans in the past, that doesn’t mean you won’t be accepted by another lender on our panel. 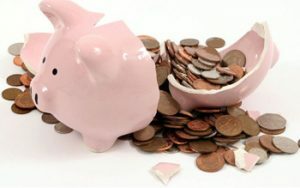 We see it every day where one lender declines an applicant, yet another lender pays out the loan. This due to the way the guarantor loan industry is set up. Lenders look at each case differently and real people, rather than a computer credit score, look at each case individually and make a decision based on what they see. 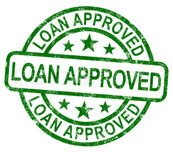 Every lender also has different criteria as to which case they will lend money to. We don’t charge a fee for this service, it’s completely free. We receive a commission off the guarantor lender only when a loan pays out, so our system has to be amazing for us to stay in business. Simply fill in our 60 second application form on our apply now page, and receive your quotes from 3 guarantor lenders now. 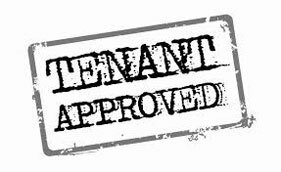 We are pleased to announce that we can now arrange a guarantor loan of up to £7500 if your guarantor is a tenant, if your guarantor is a home owner then you can apply for up to £10,000, If you are a home owner then you can also apply for up to £10,000. This is a major increase from the previous maximum level of £3000, and we see it as a move that shows confidence in the way the UK economy is improving. Not only that but the APR for a guarantor who is a tenant can be as low as 39.9% APR, massively reduced from the previous low of 79.9% APR we used to be able to offer. Home owner guarantors can now be offered as low as 29.9% APR. Considering the increased risk in lending to a guarantor who is a tenant opposed to a guarantor who is a home owner, and the fact that most guarantor lenders operate around the 50% APR mark for when using a home owner, this is a market leading offer and will shake up the guarantor lending market in a big way. It is due to lenders looking a case by its merits and not necessarily that the guarantor is a home owner. If a potential guarantor has rented their house for many years and has a good credit record, then why should they be treated any differently to a home owner? The simple answer is they shouldn’t, the tenant with the good credit history is going to care about their credit history being affected just as much as the home owner, so isn’t going to put their name forward unless they trust the applicant, which is the basic premise behind guarantor loans. So if you can afford an extra £26.49 a month, you will pay off your loan 12 months earlier and save £1299.51 in interest. So taking the above into account, it’s always best to ask for a quote on different loan terms, and select the one that you can afford in the long term and try and pay it off as early as possible. 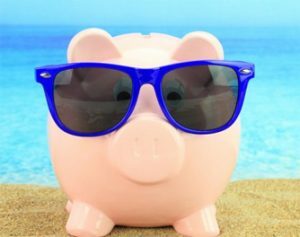 If you’re looking for a guarantor loan then apply here and let piggy take care of the rest for you. 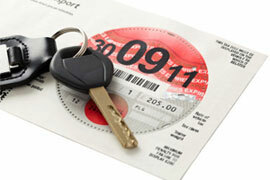 Do you know the new car tax disc rules? On the 1st of October 2015, the new car tax disc rules came into force and around 50% of drivers still don’t know what the changes are or how they will affect them, or when the changes come into force, according to a survey by money. Nearly 33% of drivers won’t even bother to try and find out what the new rules are, and 6% believed the changes where coming into effect next year. I must admit until this information was brought to my attention, I had a small idea that changes where coming into force, but all I knew was the DVLA is going to get rid of paper tax discs. We have had paper tax discs now for 93 years, so this is a bold move forward, it is hoped that in this economic climate when people don’t have much free money lying around that the option to pay monthly By Direct Debit, rather than in one or two large sums, might help out the cash flow of the cash strapped. It is also hoped that it will save the tax payer £10 million due to less paperwork. I welcome the move, because I have had that feeling when you forget that your tax disc is up for renewal, only for a reminder to land in the letterbox that you are going to be around £100 poorer than you thought you were that month, with Direct Debit, you need never have that feeling again! Also in the changes are the fact you can’t sell your car with tax on it any more, the person buying the vehicle will have to arrange insurance and tax there and then before driving the car away. This may be a pain in the backside when buying a car, but should stop those people who are driving a newly bought car home without insurance with the intention of sorting it out when they get home, or not as in some cases! You can familiarise yourself with the new rules on the DVLA website here.